The Seven Seas Restaurant & Pub was established in 1965 by the Smith Family. A décor of antiques, dark wood paneling, circa 1970s and knotty pine from decades ago, warmly embrace customers who walk in to 7 Seas Restaurant & Pub at 16 New Haven Ave. To the right is a bar rich in history and character and to the left, a small dining room, walls lined with old family pictures. But it’s the award-winning lobster rolls, seafood and steaks that have kept the business thriving for 50 years, making it downtown Milford’s oldest continuously running eatery. 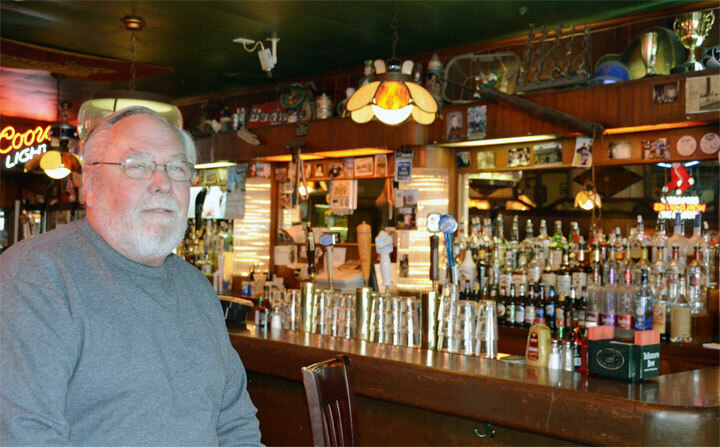 Owner, Richard Smith Sr. grew up in the restaurant business — his family owned The Pilgrim Restaurant at Fort Trumbull Beach. In 1964, his uncle bought out his father and Smith’s mom and dad bought the current restaurant, later named 7 Seas by Smith because everywhere he went during his Navy days, there was a restaurant by that name. Smith went into Navy in 1966, and took over shortly after getting out in 1969. The restaurant building, on a bend that feeds into Daniel Street, was originally a garage and converted in the 1940s into a restaurant known as Worlick’s. In the 1950s, the restaurant became Ganches and in the early ’60s became Duanes. The likes of Paul Newman, singer John Legend and these days, ESPN’s Dan Patrick, have been among the customers, who come from all over the state to enjoy the place. The restaurant was voted “Best Neighborhood Restaurant” by Connecticut Magazine in 2011, 2012 and 2013. When the snow comes, It's like one big snow lodge party here !!! Smith credits his staff and the restaurant's large portion sizes for keeping the crowds coming.